This is our second time at Prego and this time, we were here to celebrate Mothers Day and Dad’s Birthday. 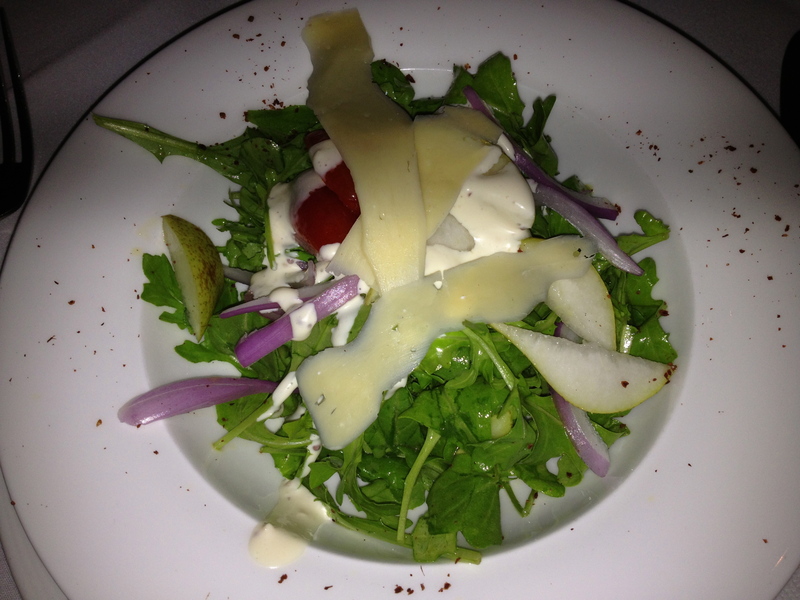 Our first trip to Prego was really good and that’s why we are back. How I usually judge whether a food is good or not is if you intend return to the restaurant again. As it was a Saturday night, all the tables in Prego were occupied but luckily we have made a booking which I will advice you to do too. 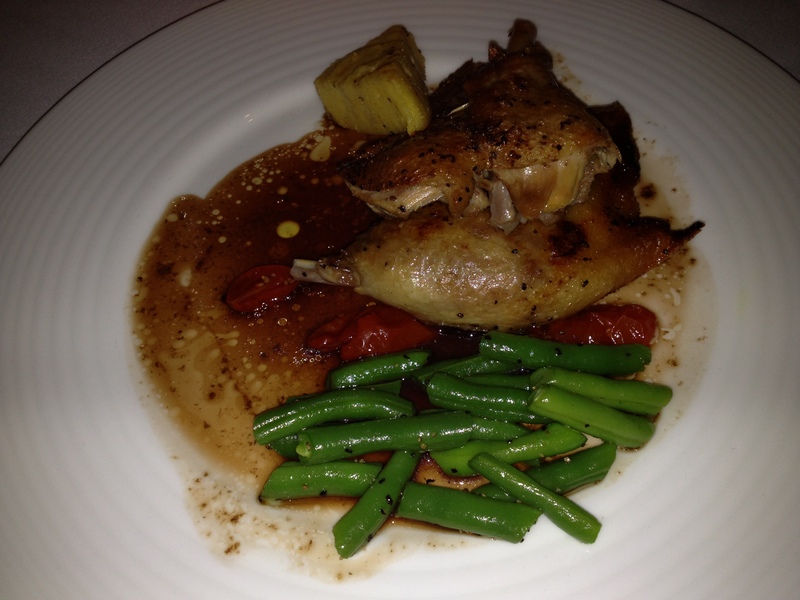 We were greeted with enthusiastic and friendly staff and were seated in our tables not long upon entering. We ordered the 2004 Olmos Cabernet Sauvignon Merlot for our drinks as recommended by the waiter. I really enjoyed this wine as it was easy to drink and the woody taste was not very empowering. For our entree, we ordered the Homemade Bread ($4.70), Italian Sausage and Olive plate ($9.90) and also the Seafood Plate ($23.90), which was one of the specials. 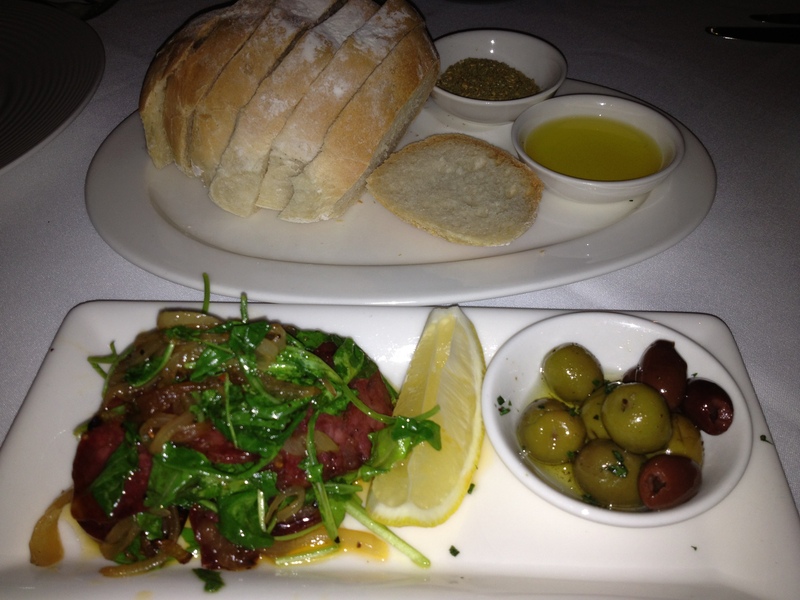 The homemade bread was very soft and blends well with the italian sausage and the olives. 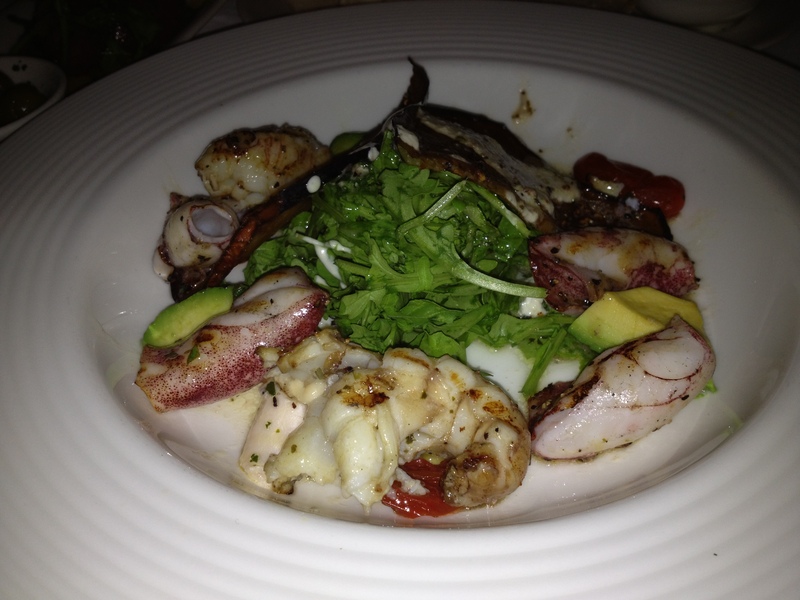 The seafood plate we had was fresh, very well executed and full with flavour. The mains arrived not long after our entree and my parents had the specials. 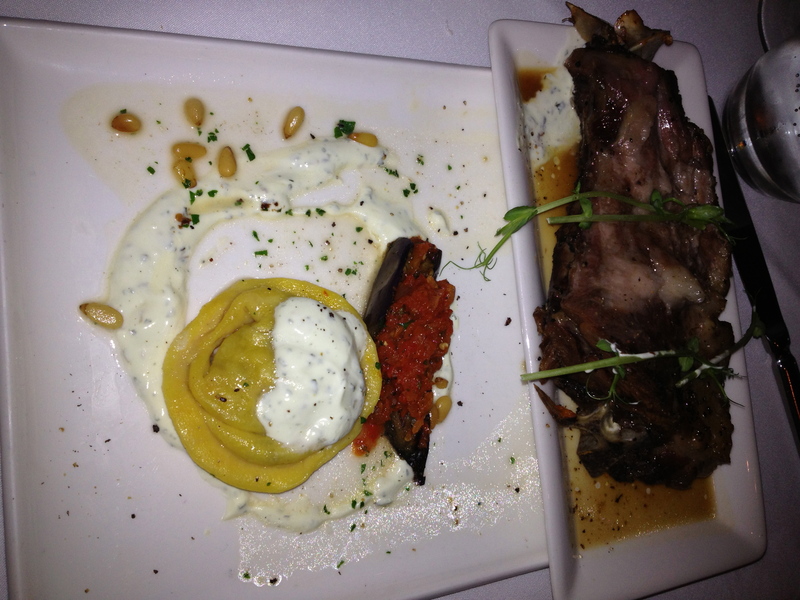 Mum had the Duck Special ($37.90) and dad had the lamb shoulder ($39.90) which was cooked for 8 hours. When their dishes arrived I was given a free salad because my main did not come out just in time but I didn’t mind the wait. Not long after they brought out my parents’ mains, they brought out my main which was the Piccata ($35.50). 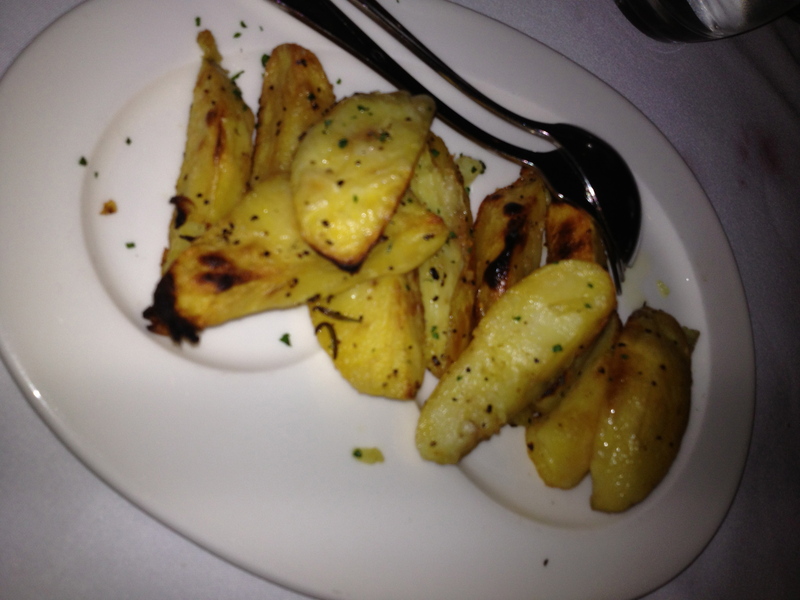 We also ordered a side dish which was the roasted potatoes with rosemary ($8.50). Overall our mains were equally as good as each other. So, I had a bit of a taste test. The duck my mum had was very tender and juicy. The lamb shoulder was soft and tender and the meat came off the bone easily because it was slow cooked for a long time, making a perfect and hearty winter dish! 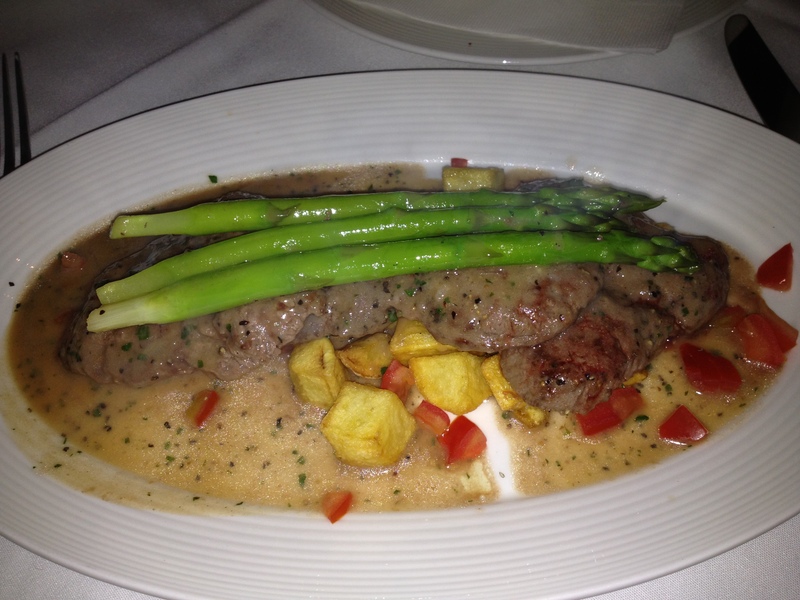 I had the Piccata, the veal medallion which was also tender, cooked to perfection and bursting with flavour with every bite of it. Our sides, the roast potatoes with rosemary was very good and fragrant with a hint of rosemary. To finish off our dinner, we had the desserts. 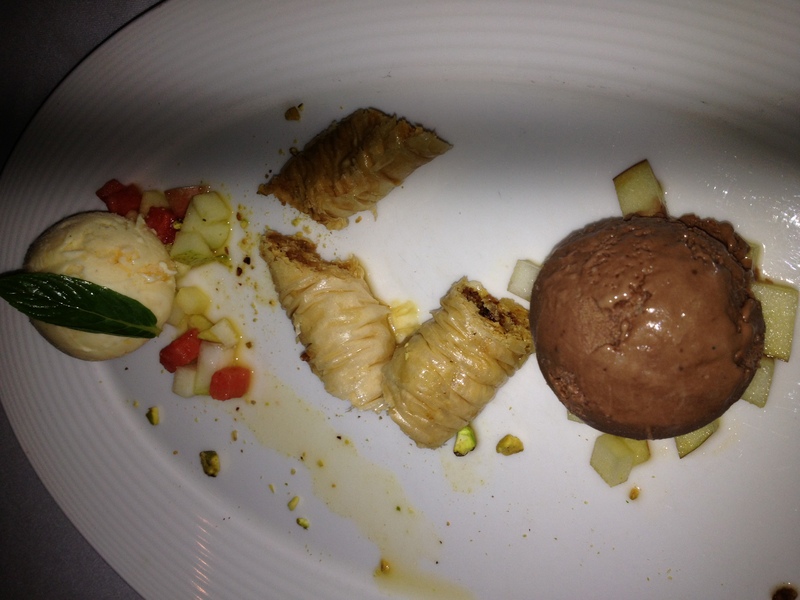 Mum ordered the Dessert Special ($15.90) and the baklava was very good which blended quite well with the ice cream. 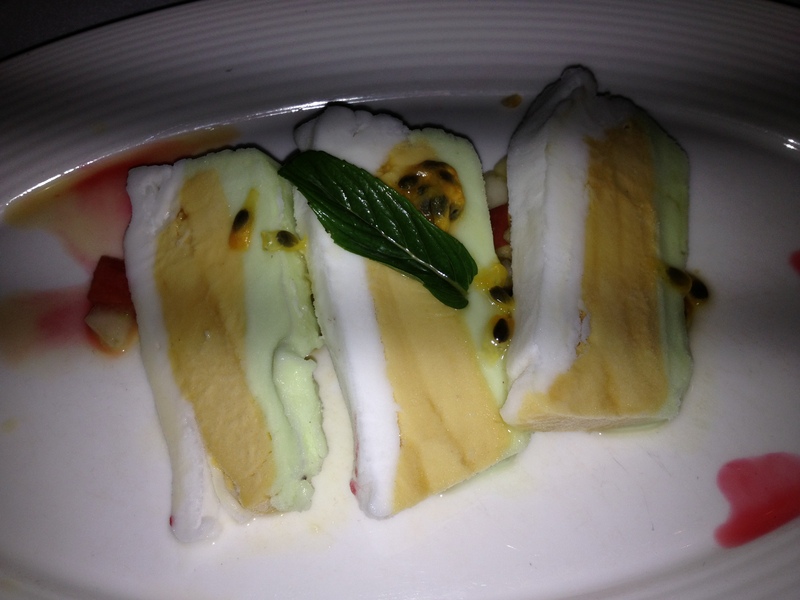 I had the Delizie di Sorbetti ($11.50) which is a trio of sorbet in a terrine. 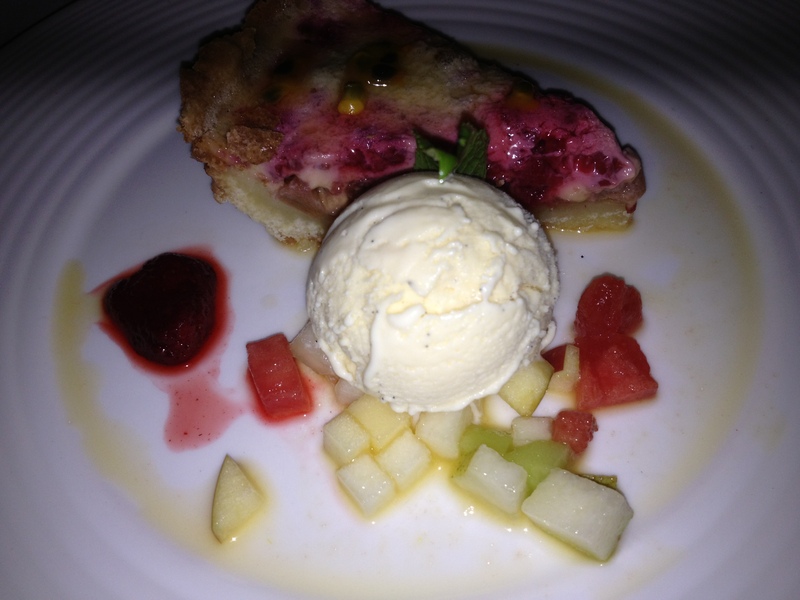 It was a very refreshing and fruity dessert that will not make you feel overly full. My dad actually ordered the Creme Caramel which was one of the dessert specials but was told that they had ran out of it. So instead of the Creme Caramel, he ordered the Berry Tart ($14.90). Before the waiter brought out the Berry Tart, he also brought out the last plate of the Creme Caramel which was on the house! We had a taste test on the Creme Caramel and it was amazing! 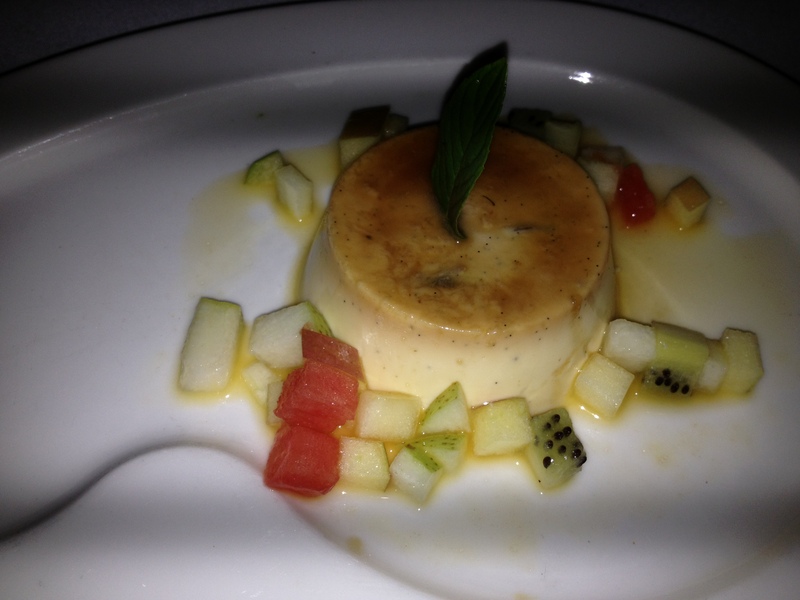 I would say this is one of the best Creme Caramel that I have actually tried in Perth! The Berry Tart dad had was also as good as the other desserts and it was very fruity in flavour and not too sweet.